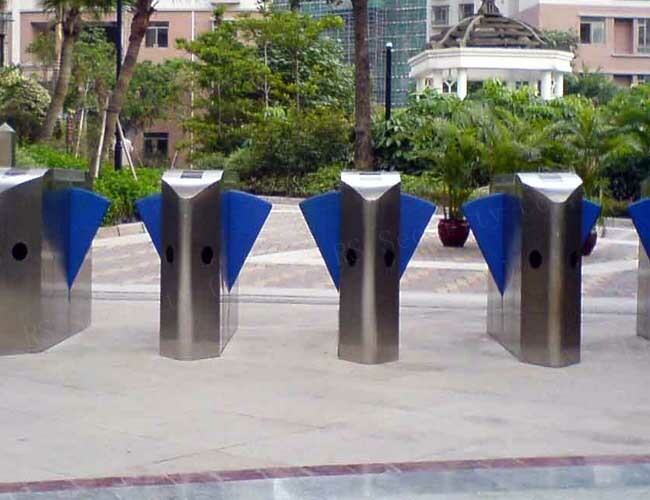 Integrating mechanism, electronics and micro-processor advanced technologies.The Flap Barrier is a improvement of intelligent Tripod Turnstiles.Equip various card-reading machines with hi-performance security protection SW to realize real-time warning and clever LED counter display guide passers .it balance pedestrian intelligent control and management. This system provides civilized,well-organized pass management and meantime its prohibit illegal persons entry&out . 2.3,one direction card reading and another free pass. Working types can be set in the control board. 3. 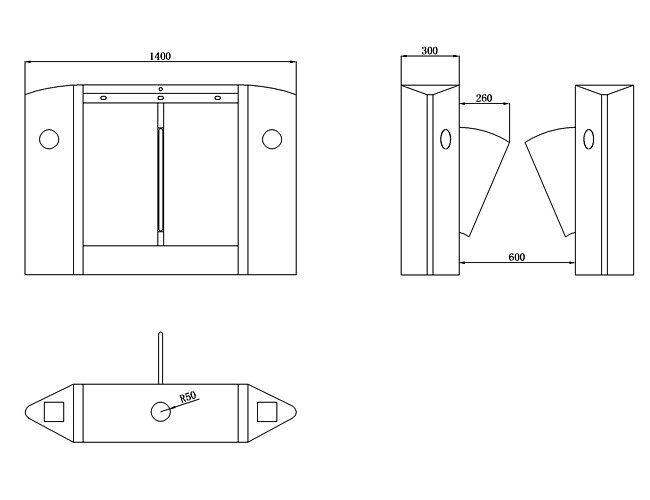 Automatic Turnstiles arm drop automatically when power off ;Arm recover its position automatically when power on. 5. Manager can set pass time in control boards. 6. 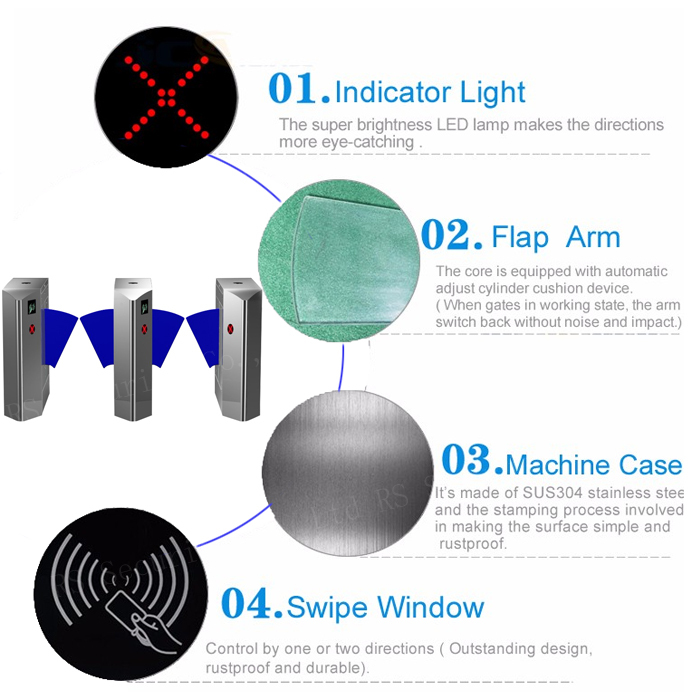 Flap Barrier automatic alarm when illegal pass until passenger get an authorized card. 7. Flap barrier is RS485 interface for long-distance control. 8. Human safe: optical & mechanical anti-impact.Optical sensor detect passenger position.100% avoid passenger hurt during in passing . If arm meets any obstacle, arm stop working immediately . 10. Direction display guide passenger go or stop. 11. Control software regulate authorized passengers numbers. 12. Stable running with low- noise. Looking for ideal Optical Flap Barrier Manufacturer & supplier ? We have a wide selection at great prices to help you get creative. 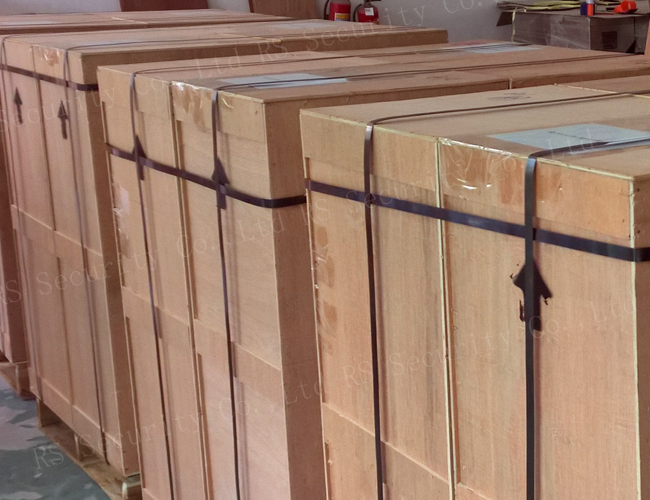 All the Optical Flap Barriers are quality guaranteed. 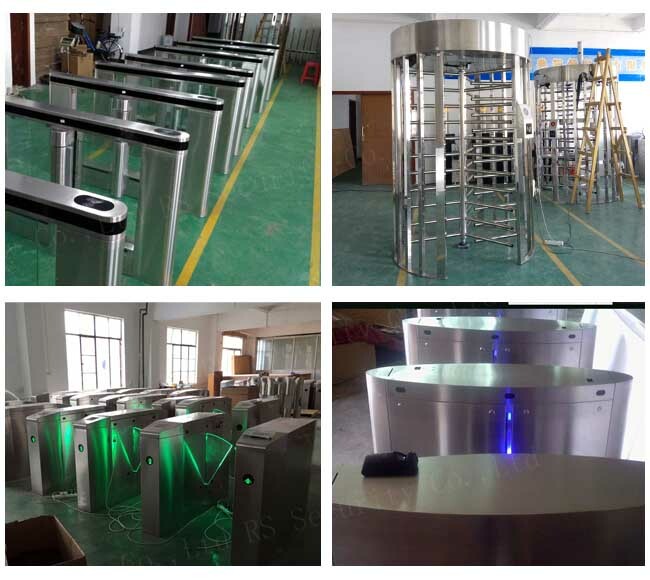 We are China Origin Factory of Optical Flap Barrier Gate. If you have any question, please feel free to contact us.